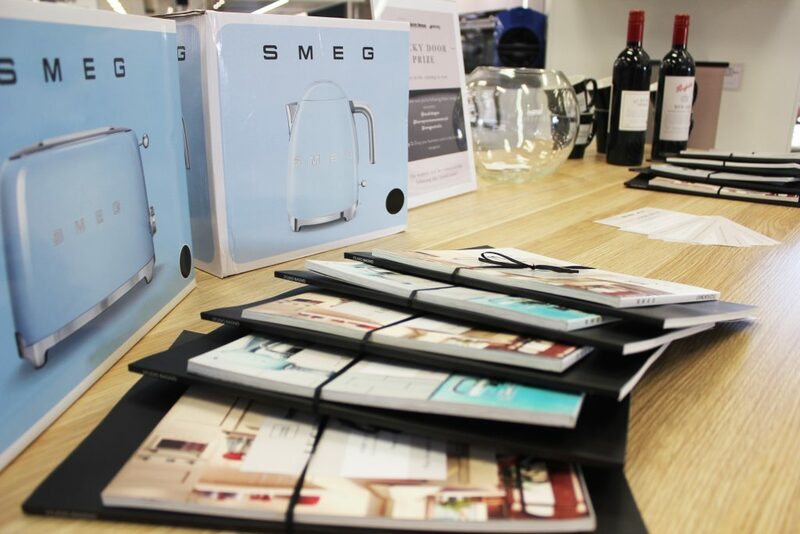 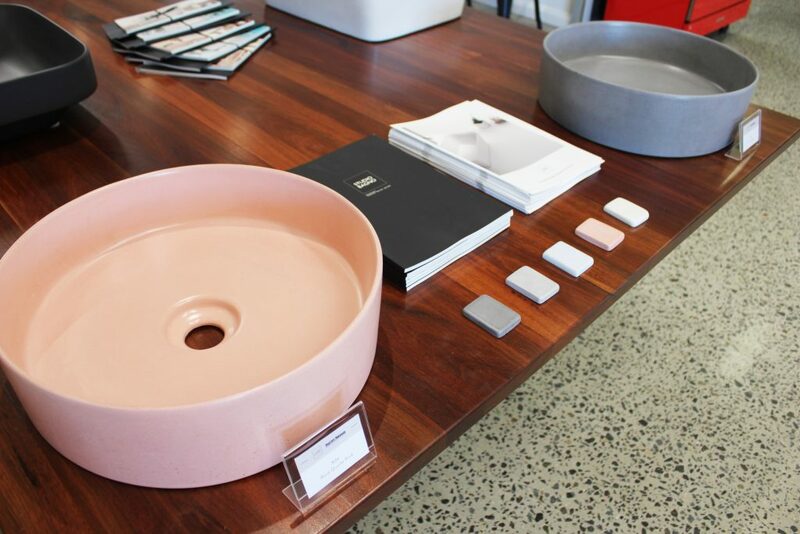 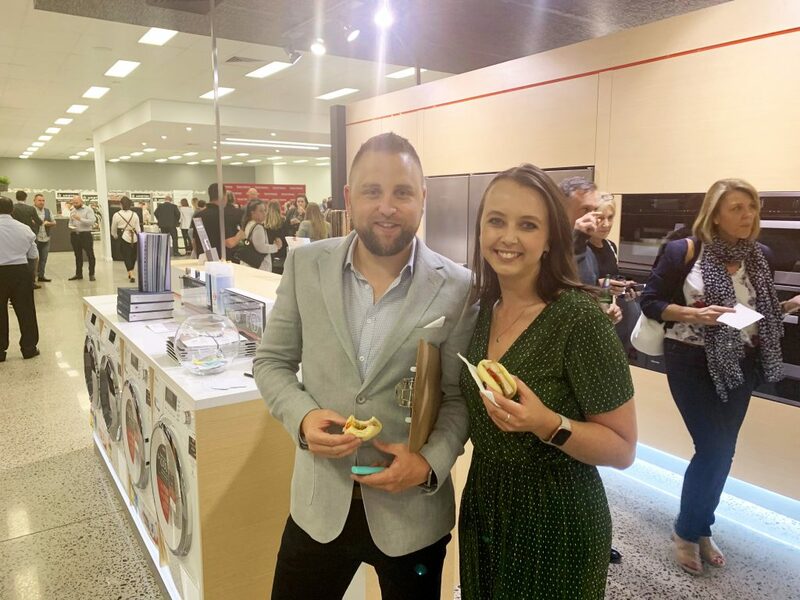 On the Wednesday 10th of April, Harvey Norman Commercial held an event in their ACT Showroom showcasing spectacular new products from Studio Bagno & SMEG. 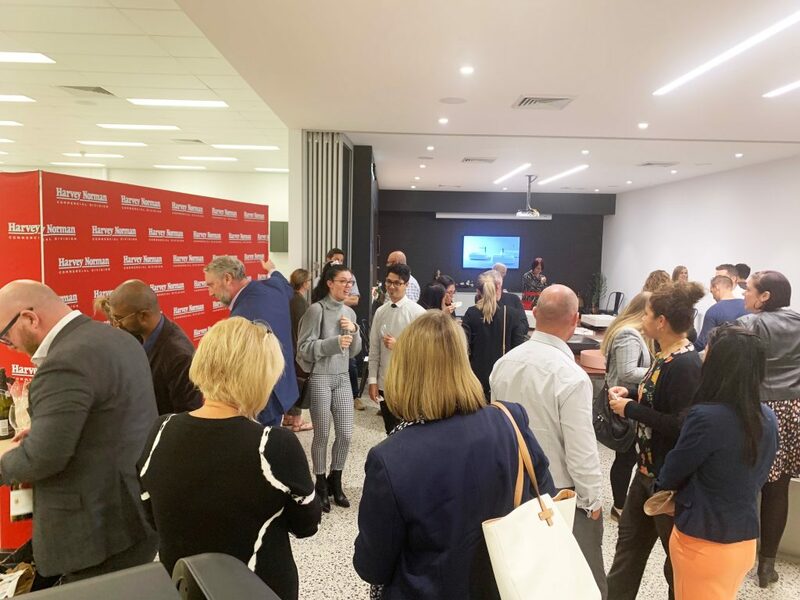 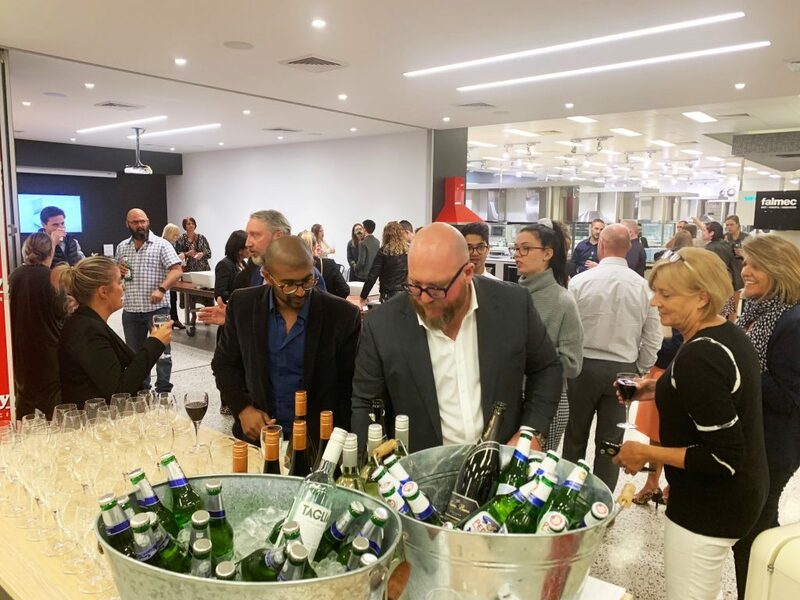 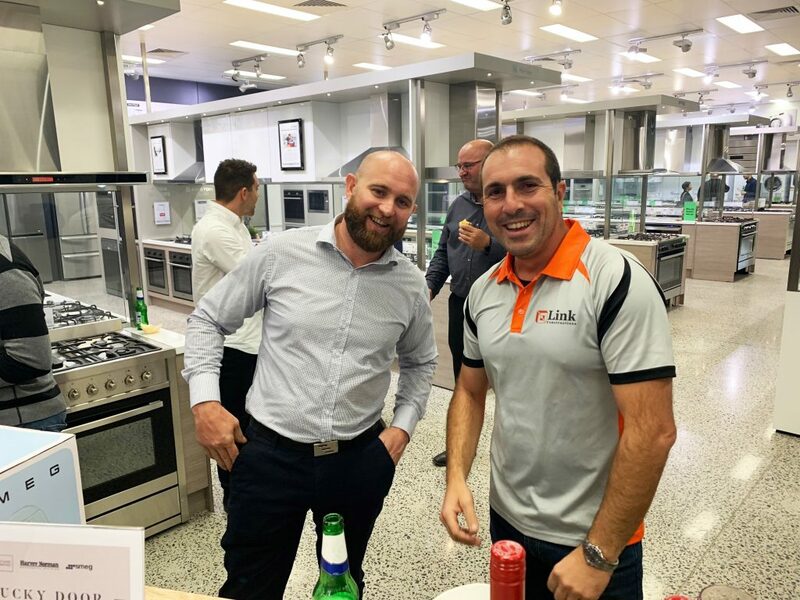 Key architects, designers, developers and builders were invited to enjoy a night filled with laughter, complimentary drinks, and delicious canapés from Woodbrook Catering. 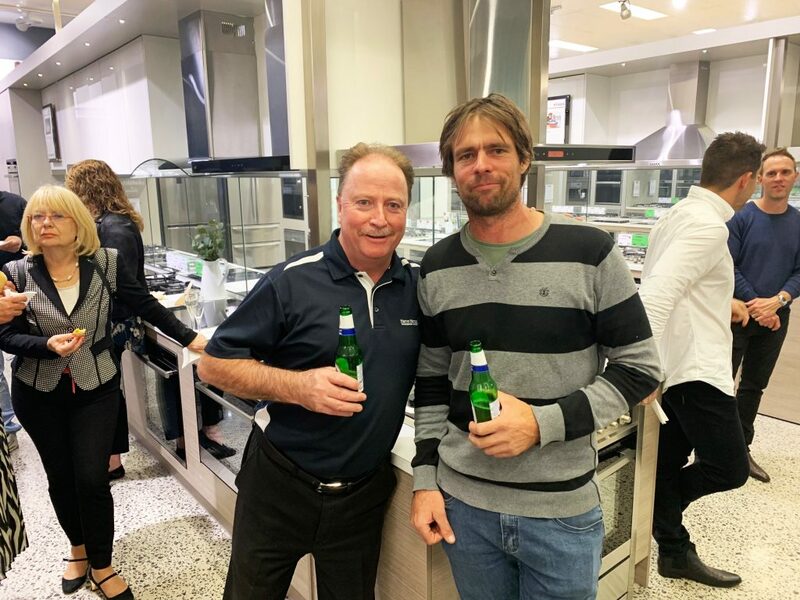 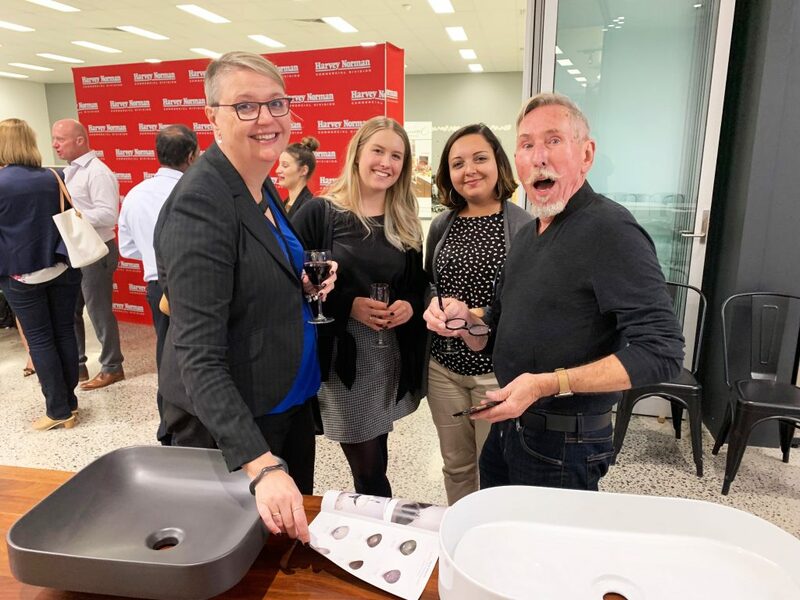 Everyone took the opportunity to get to know the Harvey Norman team as they gathered around the new ranges, also talking to Tony & Mitch from Studio Bagno about their ‘ISH 2019’ inspired products. 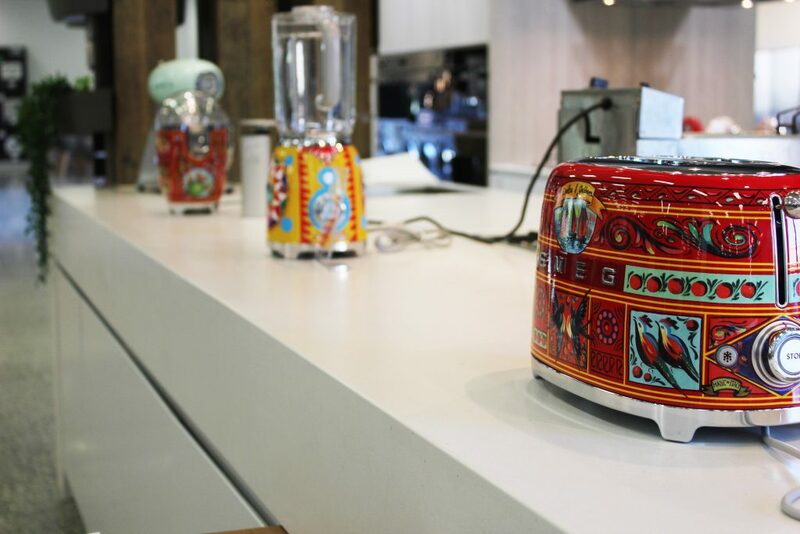 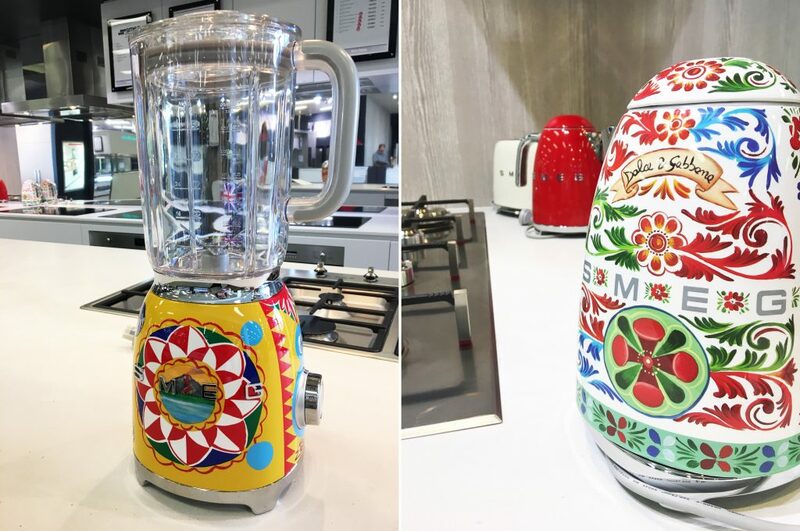 The ‘Dolce & Gabbana’ ranges also took centre stage in the showroom with everyone marvelling at the hand painted art-like appliances. 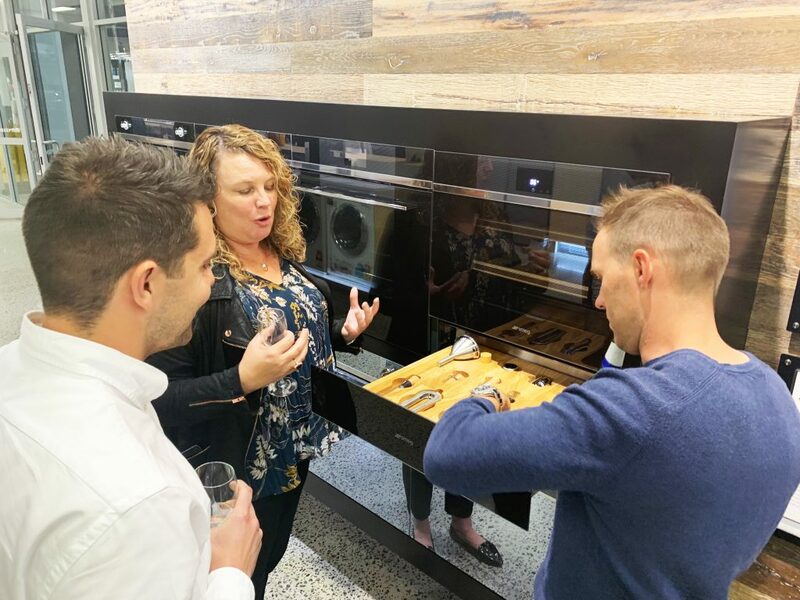 While, the copper detailing on the ‘Dolce Stil Novo’ products definitely did not disappoint with everyone flocking to Matt from Smeg with enquiries. 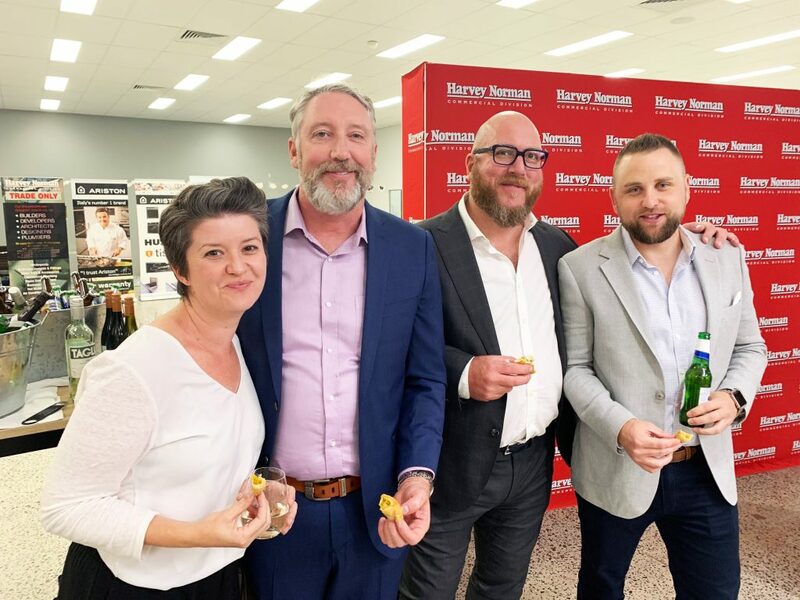 A wonderful night, enjoyed by all! 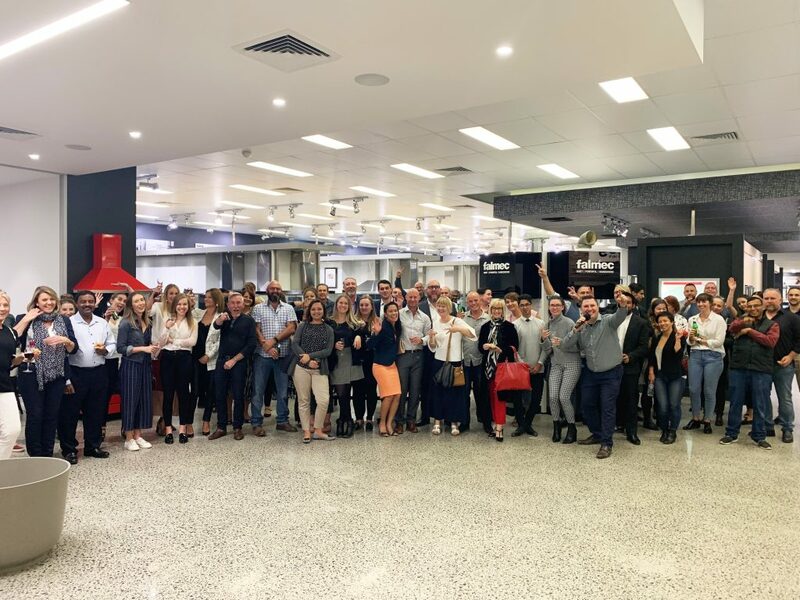 Thank you to our suppliers & guests for making it a night to remember!